With the technology OpenStack + CEPH, SnackHost offers virtual servers a cloud environment with maximum availability and security (data are simultaneously saved in three storages at several independent locations). Pay-as-you-go payment and no obligations make SnackHost the ideal hosting partner for both small and big internet projects. For maximum reliability, all data are synchronized and saved in 3 independent storage systems. To get high performance from disk operations we use all-SSD arrays. SnackHost Cloud is protected against unexpected events. The only impact of any bigger infrastructure breakdown on clients is that servers need to be restarted. SnackHost is located in the technical facility of the ServerPark and TTC data center (independent location), one of a group of supermodern data centers in Central Europe. is driven by a powerful Radware solution. Create your own virtual data center in SnackHost. 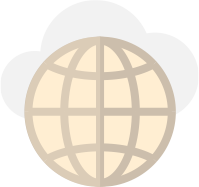 Connect servers to private networks as you need. Say goodbye to hardware anxiety and migrate your servers onto a high-availability infrastructure like the SnackHost Cloud Server. 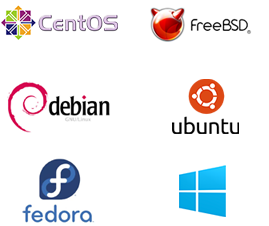 SnackHost supports not only a whole series of linux distributions, including many templates prepared in advance (database server, webserver and more), but also freeBSD and Windows Server 2012 and 2016. DO YOU HAVE INDIVIDUAL REQUIREMENTS OR NEED BIG COMPUTING PERFORMANCE?